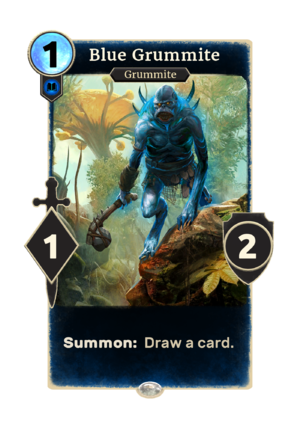 Blue Grummite is a common Intelligence creature card. It is not obtainable as part of your collection, but instead appears in the Notehollow match in the Isle of Madness story. This page was last modified on 24 February 2019, at 11:28.